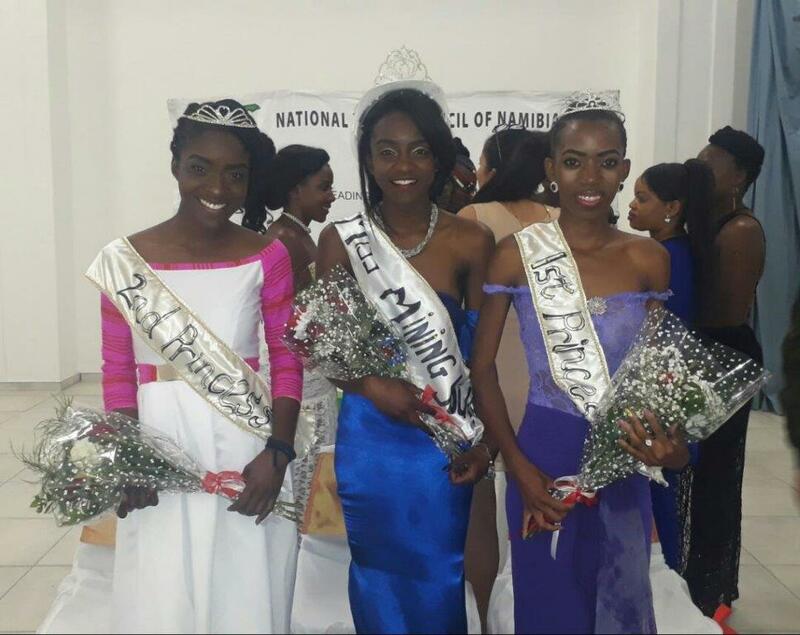 Oranjemund-Nineteen-year-old Julia Kandjimbi is Miss Mining 2017 beauty as well Miss Personality, while Maano Ndakondja is her First Princess and Celine Imbili Second Princess. Kandjimbi was crowned Miss Mining 2017 for the first time in the Zacharia Lewala Hall in Oranjemund last Friday as part of the Mining Youth Week, a youth edutainment initiative that included sports, arts and culture. Currently a student at the College of the Arts (COTA) studying fashion, Kandjimbi is not just beauty but brains as well, and an upcoming businesswoman who runs and owns a modelling agency. “I cannot explain how I feel, but I am very happy and I really cannot wait to start with all my duties and since I am the very first Miss Mining, I will put so much hard work in it. I will make sure that people remember me as their first Miss Mining,” she envisioned. She is happy and proud as she will be part of the opening ceremony when Orandjemund becomes a town next week Saturday – an occasion to be attended by President hage Geingob, amongst other dignitaries. “I believe from there, I will take on community programmes which include charity and involving the youth in developmental programmes in Rosh Pinah and Oranjemund. I will also be doing voluntary work,” emphasises the newly crowned beauty. The message Kandjimbi has for her fellow youth is, ‘If you believe in it, go for it’.